BizBroker.ie provides Property Porfolio Insurance in Ireland. We have over 30 years experience in this sector and can advise in choosing the correct cover that suits you and your pocket whether you have are experienced individual with a wide ranging property portfolio or a first time buyer who has just bought their first house, we are here to help you and point you in the right direction. 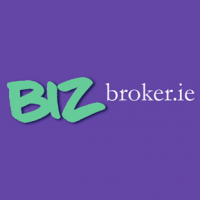 BizBroker.ie provide top value Property Insurance Ireland and House Insurance Ireland. Click here for a quote or call us on 096 79626.